Russia’s only aircraft carrier, the Admiral Kuznetsov, is preparing to head to Syria to serve as a platform for carrying out airstrikes on jihadists, a military diplomatic source told TASS. It will remain in the Mediterranean until at least January 2017. The news agency stressed that there has been no official confirmation of this information so far. “The Joint Staff has developed a program for carrier pilots to take part in delivering airstrikes on terrorist groups in Syria. It implies performing operational flights from the carrier against land targets,” a source told TASS. 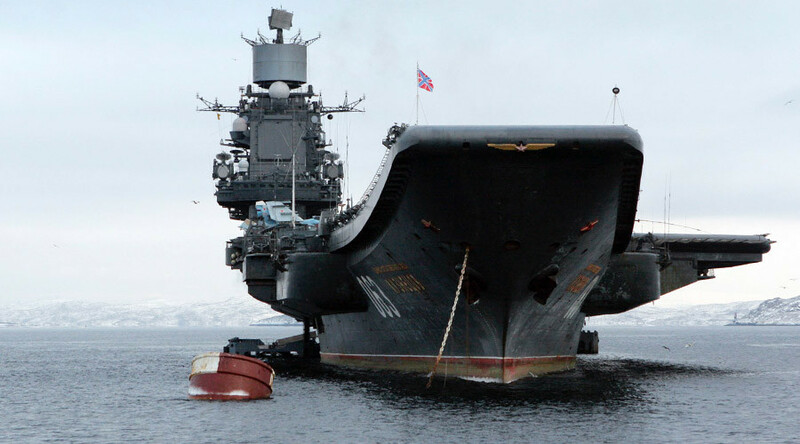 The Admiral Kuznetsov will take the helm of the Russian naval task force in the Mediterranean, where it will cruise close enough to the Syrian shores to ensure that its aircraft are within the necessary operational range, the source specified. The ship will be carrying out operations in the Mediterranean until approximately late January or early February, when it will return to the Sevmash shipyards in Severodvinsk in the north of Russia to undergo extensive modernization, the source shared. The ship only recently underwent maintenance and its aircraft wing started training flights on July 1. The head of the Russian State Duma’s Defense Committee and former commander of the Russian Black Sea Fleet, Admiral Vladimir Komoedov, told TASS early this week that the Admiral Kuznetsov should be present in the Mediterranean on a constant basis to protect Russia’s interests in the region. “The ship’s crew ought to be rotated, yet the vessel should not leave the Mediterranean,” Komoedov said, adding that it was important for the ship to be maintained in proper technical condition for it to carry out that mission.